Thanks for the translation. 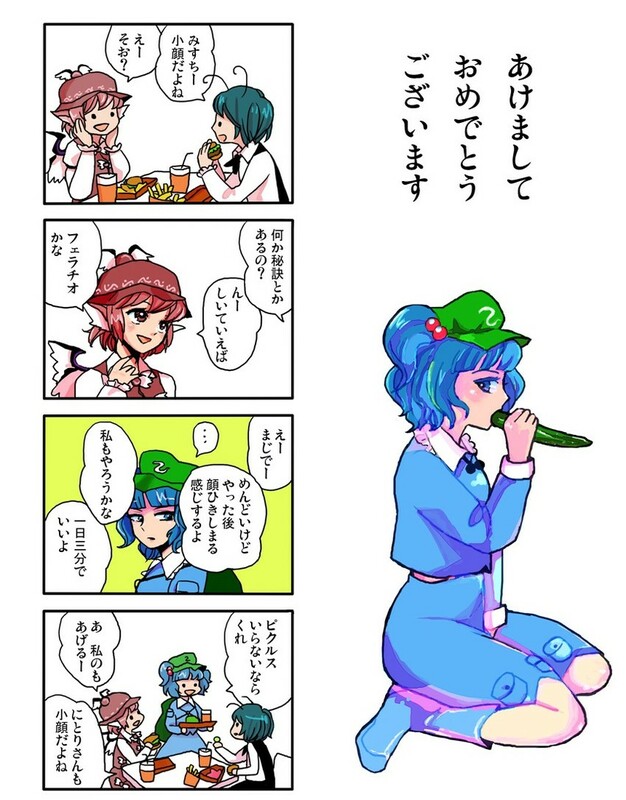 I love how this artist's Mystia goes right into the dirty talk. It's a pain but after doing it your face feels tightened up. Your face is so smooth and youthful, Mystia! Do you have some sort of secret? Maybe I should try it too! Three minutes a day is enough. Give me your pickles if you don't want them. Oh, I'll give you mine too! You have a babyface too, don't you, Nitori!